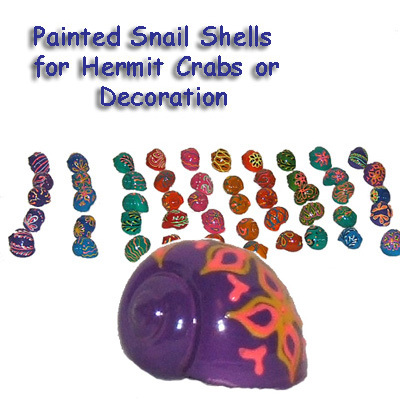 Unique hand painted snail shells from India. *Each shell is hand painted with no two shells exactly the same. 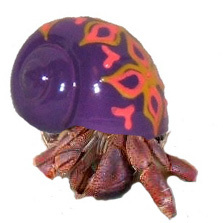 *Sold in mixed sets of ten shells; please note that we mix these shells so as to give each purchase as a unique a mix as possible. Picture to the left shows one of these shells with a Hermit Crab.